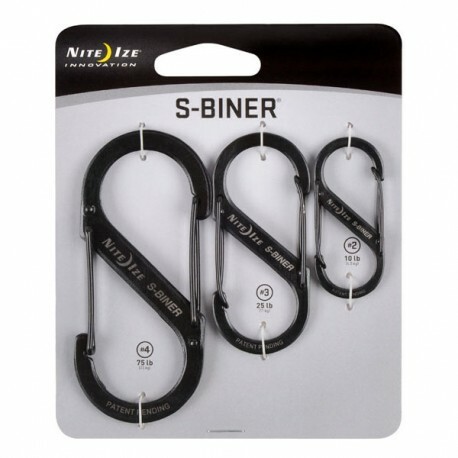 The Nite-Ize S-Biner is a double-entry carabiner that keeps on finding new uses! 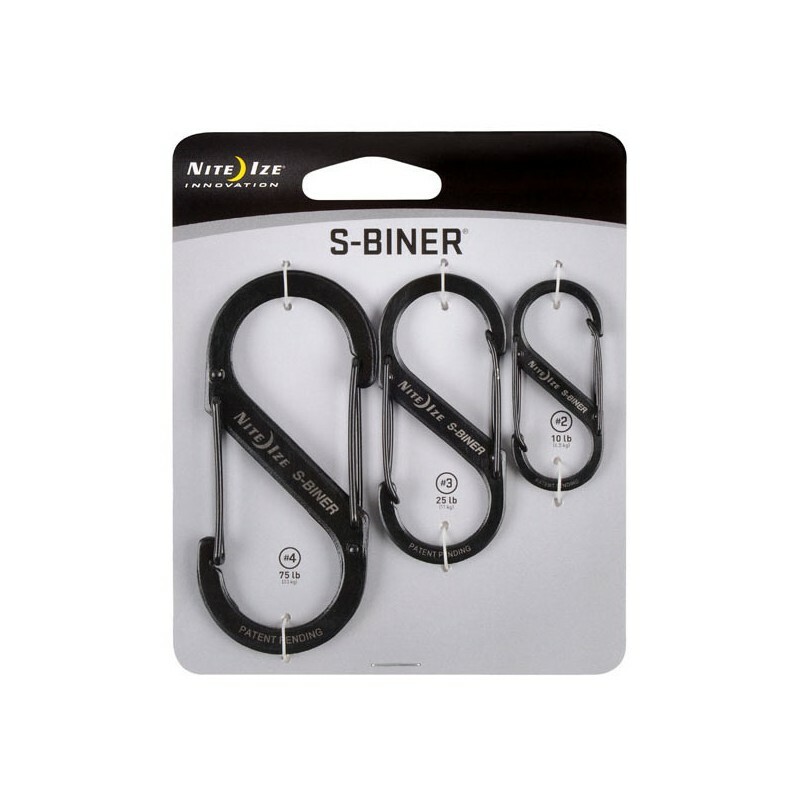 It allows to hang pouches knife or gsm, keys, bottle, etc. 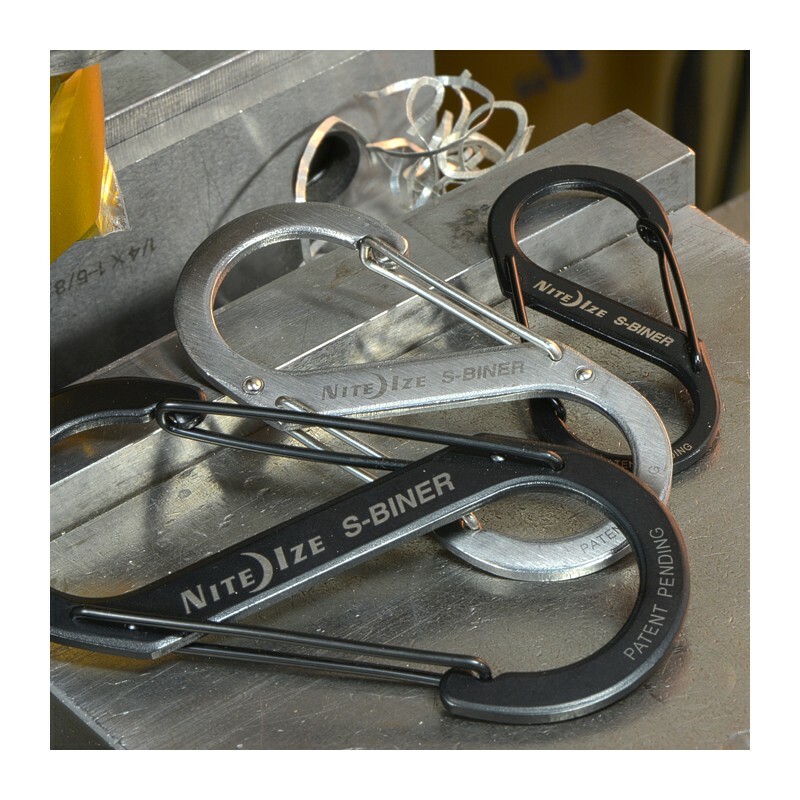 on a rucksack, a belt loop, a tree branch. Warning: not suitable for climbing.